Our team of electricians can carry out all of your switchboard upgrades and electrical switchboard wiring to your commercial or residential property. 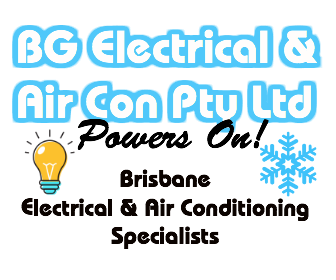 BG Electrical have been supplying residents and businesses of Brisbane with electrical switchboard upgrades for over 10 years and can be trusted to complete your job. Older styles homes and buildings pose a much higher risk of an electrical fire. They can also increase the possibility of an electric shock. All modern switchboards have electricsl safety switches installed which are mandatory under Qld law. When an electrical fault occurs safety switches will isolate the circuit immediately. If you are having renovation work carried out or installing new appliances in your home or business BG Electrical can assess if there is a requirement for a switch board upgrade, repair or new installation to prevent an electrical overload on the system. Why You Would Need an Electrical Switch Board Upgrade? Because of an overburdening of switchboards in older homes and businesses they can experience frequent power outages and tripping. Renovations such as a kitchen or entertainment room could add extra stress to your house electrical switchboard. Newer appliances and electrical equipment can draw more power and add to the demands of your fuse box. Our Master Electricians can complete all of the following switchboard work. Repair any faulty electrical switchboards that you have on your premise. Call BG Electrical on 0434 288 108 or complete our Electrical Enquiry to book a switchboard upgrade or an electrical switchboard wiring check. We are your team of switch board specialists in Brisbane.